HTC has had a hard time keeping its new devices from leaking across the Internet. We have already seen pictures and specs of the company’s upcoming flagship device, which will likely be known as the HTC One, and now have a release date and price. According to HTC Source, the One smartphone will be released on AT&T, T-Mobile and Sprint on March 22nd with 32GB of internal storage for $199.99 with a new two-year agreement, while a larger 64GB model will be available for $299.99. Earlier reports claimed that the device will be released in Europe on March 8th. 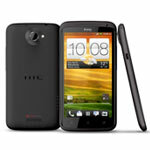 The HTC One is expected to be equipped with a 4.7-inch full HD 1080p, a 1.7GHz quad-core CPU, a 13-megapixel camera and a metal case, which we saw in an earlier leak, that will house front-facing stereo speakers. It will supposedly be available in both black and silver/white and is also said to include 2GB of RAM, Sense 5.0, LTE connectivity and Android 4.1.2 Jelly Bean.